I sometimes run into the problem with people getting confused with the idea of being religious makes you moral and righteous. That is very, very, very far from the truth. So, I made this for other folks who face the same issue to show your strength of values. 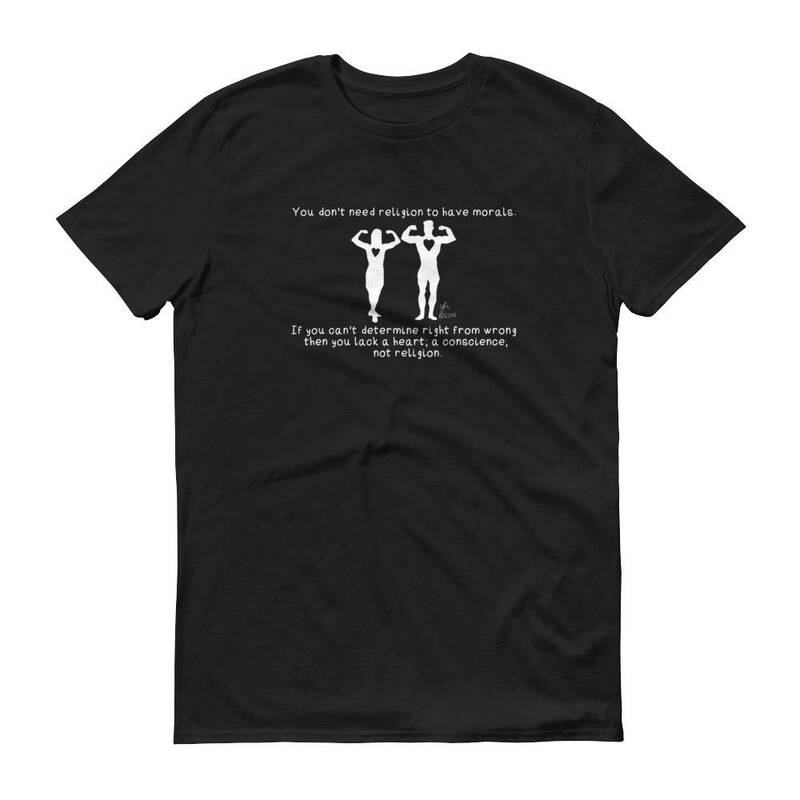 With that said, this shirt reads, "You don't need religion to have morals. 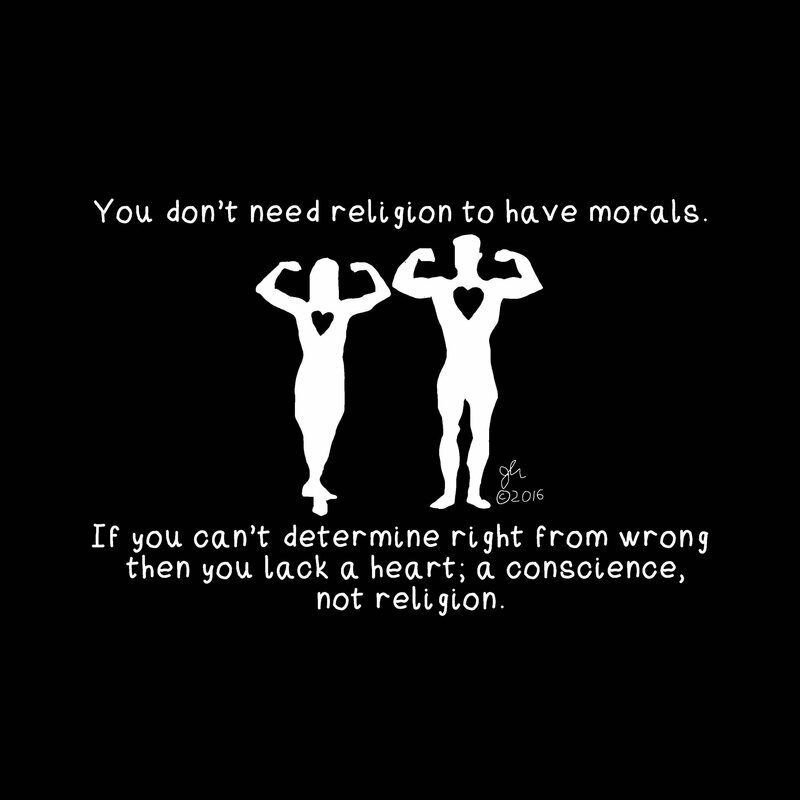 If you can't determine right from wrong then you lack a heart; a conscience, not religion."